Maharishi Dayanand Saraswati Jayanti celebrates Dayanand Saraswati's Arya Samaj. Arya Samaj is principled under Satyarth Prakash as the 'light of truth.' It is observed in February/March of each year. People remember Swami ji good deeds. Universities in India show respect for one of Indian reformers of the pre Independence time. It is a restricted holiday in which government and most businesses are open. The sole objective for this holiday is allowing more good to mankind. 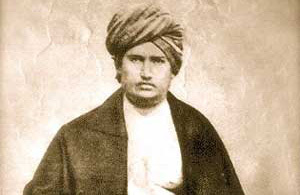 Maharshi Dayanaud Saraswati's birthday is February 12, 1824.